You are a thief who doesn't know how to steal. 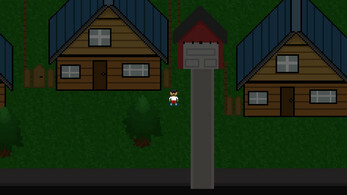 You enter the four houses and place two items in each house to "steal" them. Once you have placed two specific items in the right place in the right house, you win. Controls: WASD to move, E to enter houses and place item, R to open inventory, Mouse1 to equip and unequip items in inventory. NOTE: DON'T PRESS 'P' : the pause button is unfinished and will break game.